Size: -- Choose Size -- 18" 36"
We are glad to help you diagnose your issue! Send us a message. Thaws a frozen water line in just seconds! 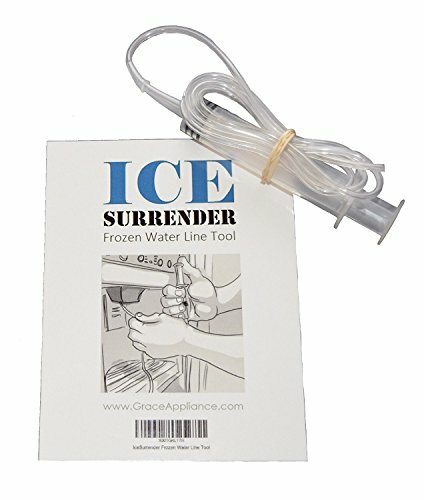 Designed by an appliance repairman (Grace Appliance), IceSurrender Frozen Water Line Tool is specifically designed to be THE fastest method to thaw a frozen water line for a refrigerator water dispenser. IceSurrender allows you to squirt hot water directly on the ice that is blocking your frozen dispenser water line. No disassembly of your refrigerator or special tools required. Extra long tubing allows more than enough length to reach any dispenser ice blockage on your refrigerator. 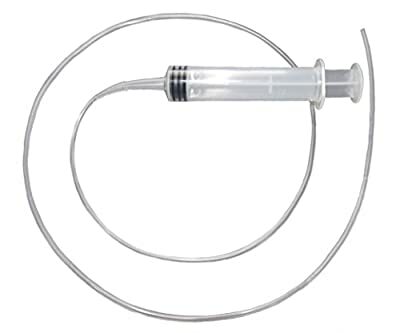 Very small diameter tubing designed to fit inside ANY dispenser water line tube. Perfect companion tool for WR49x10173 dispenser tube heater install - allowing you to get your water working immediately without having to wait for the heater to thaw the line. Why can't I just use tubing from the hardware store? 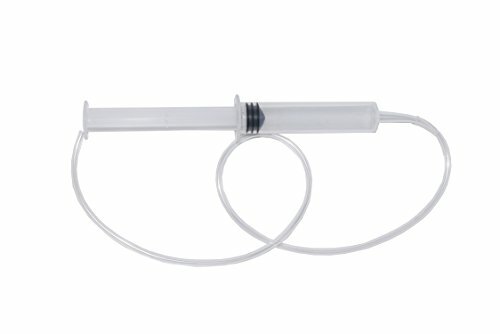 Most hardware stores will not carry tubing small enough to fit inside your dispenser tubing. Our tubing is a special order small diameter tubing which is then heat fitted on to the tool's curved tip. THE fastest way to thaw a frozen water dispenser Specifically designed to thaw ice from inside 1/4" dispenser tubing. Saves you a service fee from the appliance guy! No hairdryer needed! Works great to thaw ice maker & defrost drain lines as well!